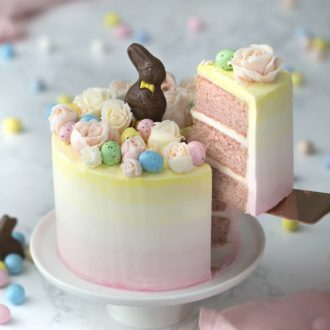 This delicious, moist and fluffy vanilla cake covered in a perfectly creamy vanilla buttercream is beyond easy to make and a total crowd pleaser! 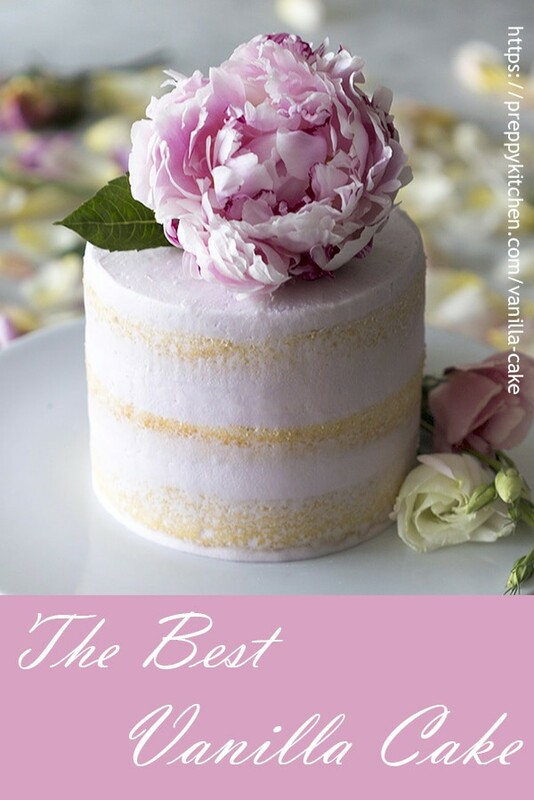 What could be more beautiful than a vanilla cake layered with delicate, pink buttercream? Topped with a stunning peony, too? Dear Lord. How do You Make the BEST Vanilla Cake? Use great ingredients! Never add artificial vanilla. I use a high quality vanilla extract like Nielsen-Massey but there are tons of great brands. My only tip if your shopping around and have no idea what to but is choose a glass bottle! 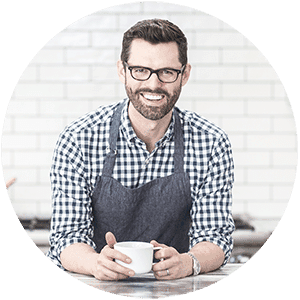 Is you want to take the flavor up a notch try using vanilla bean paste. You’ll get lots of vanilla taste and see all the little black seeds mixed in with your batter. How do You Make Cakes Moist? To make cakes moist I always use whole milk, and either sour cream or yogurt. Aside from adding a slight tang to balance the sweet Sour cream and yogurt give you a rich, moist flavor that’s hard to beat! Fluffiness comes from using the right amount of leavening agent; too much and the cake will collapse, too little and it will be dense. Vanilla cake is flavored with vanilla but a white cake just means that the cake is whiter from using egg whites only. White cakes are often flavored with vanilla but can be flavored with rosewater, lemon zest, orange blossom water, or any number of things! Raspberry juice will give a beautiful soft pink color with no food coloring. 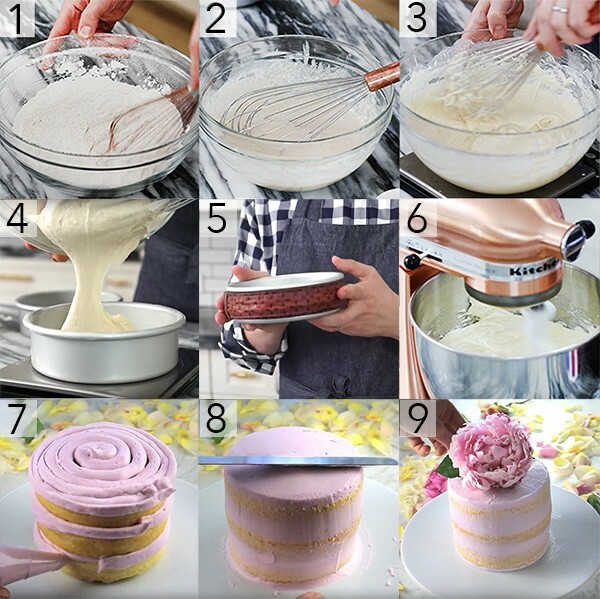 If you like a less sweet frosting try my Italian or Swiss meringue buttercream recipes! They’re Creamy, dreamy and oh so delicious. How do you make homemade vanilla cake? 1. Butter and flour three 6-inch pans. Preheat oven to 340F. Sift the dry ingredients, including the sugar, together in a large bowl. 2. In a separate bowl, beat the milk, sour cream, butter, vanilla and egg whites together until combined. DOn’t worry if you see little clumps of butter. 3. Add the wet to the dry and mix until combined. 4. Divide the mixture evenly into the cake pans. I like to use a kitchen scale to measure for even layers. 5. Add wet cake strips onto the pans. These will give you a nice flat top perfect for stacking. Bake for 30 -35 minutes or until the centers are set and springy. Let the layers cool in the pans for about a minute or so, then dump each layer out onto a cooling rack. 6. Beat the room temperature butter until light and fluffy. 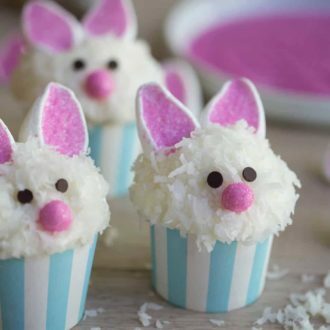 Add the confectioners’ sugar, vanilla, food coloring and heavy cream. Mix together until a desired consistency is reached. Transfer to a piping bag. 7. Pipe buttercream between the cake layer. Cover the cake with a thin layer of buttercream. 8. Use an offset spatula and a bench scraper to smooth the frosting. 9. 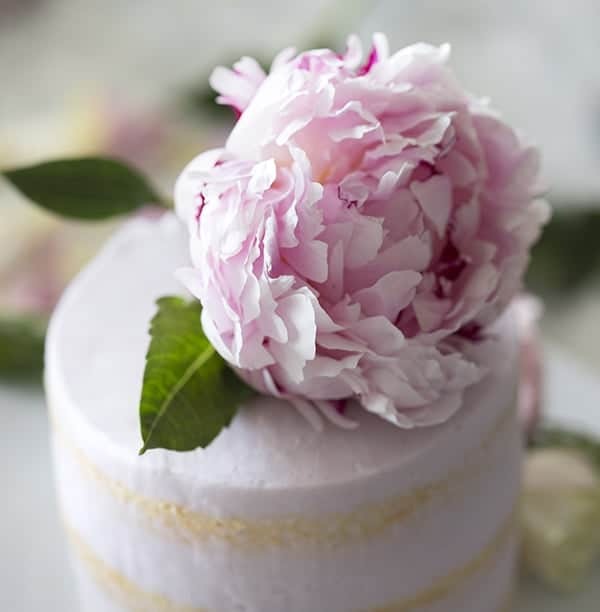 Using floral tape, cover the stem of the peony to form a barrier between the flower and cake. Add to the top of the cake. 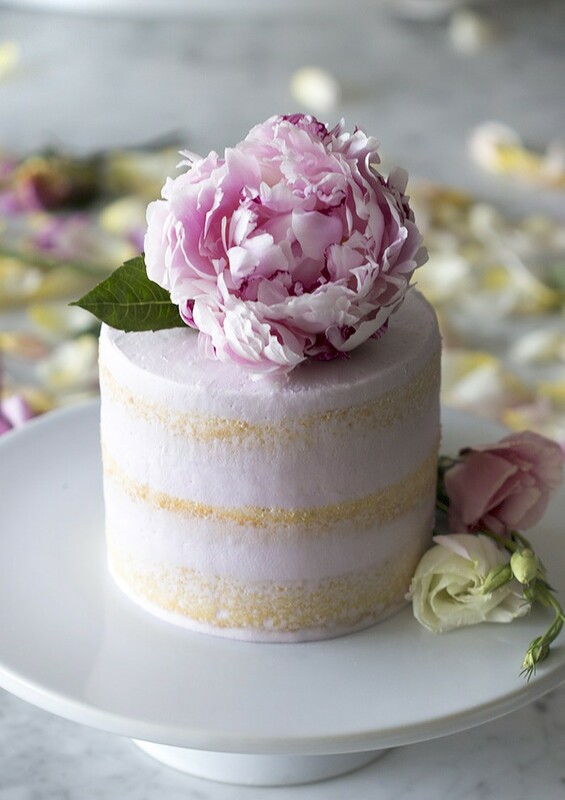 The most moist and perfectly sweet vanilla cake covered in a easy breezy soft pink vanilla buttercream with a striking peony for a stunning accent. Butter and flour three 6-inch pans. I use damp cake strips on my pans for more even baking as well. Preheat oven to 340F. Sift the dry ingredients together in a large bowl. In a separate bowl, beat the wet ingredients together. Add the wet to the dry and mix until combined. Divide the mixture evenly into the cake pans. I like to use a kitchen scale to measure for even layers. 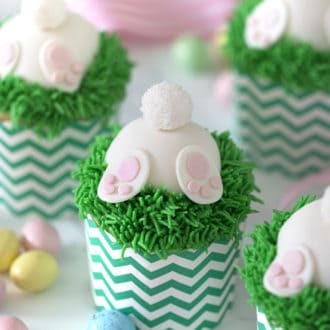 Bake for 30 -35 minutes or until the centers are set and springy. Let the layers cool in the pans for about 4 minutes, then dump each layer out onto a cooling rack. Beat the room temperature butter until light and fluffy. Add the confectioners' sugar, vanilla, food coloring and heavy cream. Mix together until a desired consistency is reached. Transfer to a piping bag. Pipe buttercream between the cake layer. Cover the cake with a thin layer of buttercream. 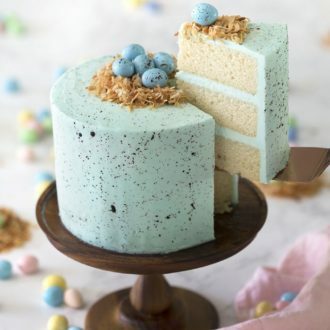 Use an offset spatula and a bench scraper to smooth the frosting. 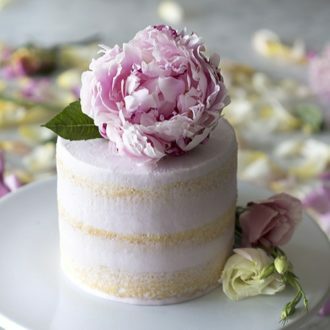 Using floral tape, cover the stem of the peony to form a barrier between the flower and cake. Add to the top of the cake. I made this cake for my daughter’s birthday I made an unicorn theme with SMBC. It was a great hit. And it was my first cake decoration and I’m receiving compliments from all my friends and family. Thank you so much for your recipe. Whenever I decided to make a cake I just come straight to your page and you have lots and lots of it. Thank you so much.